NO. 46 VALLEJO FLOUR MILL - In 1856, José de Jesús Vallejo, brother of General M. G. Vallejo, built a flour mill here, on his Rancho Arroyo de la Alameda. 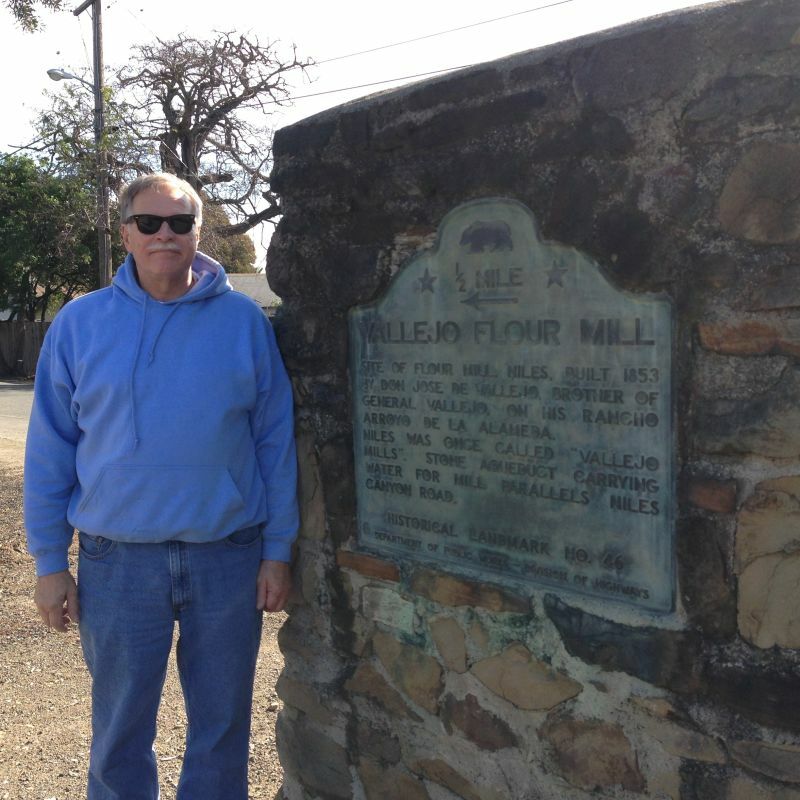 Niles was once called 'Vallejo Mills.' 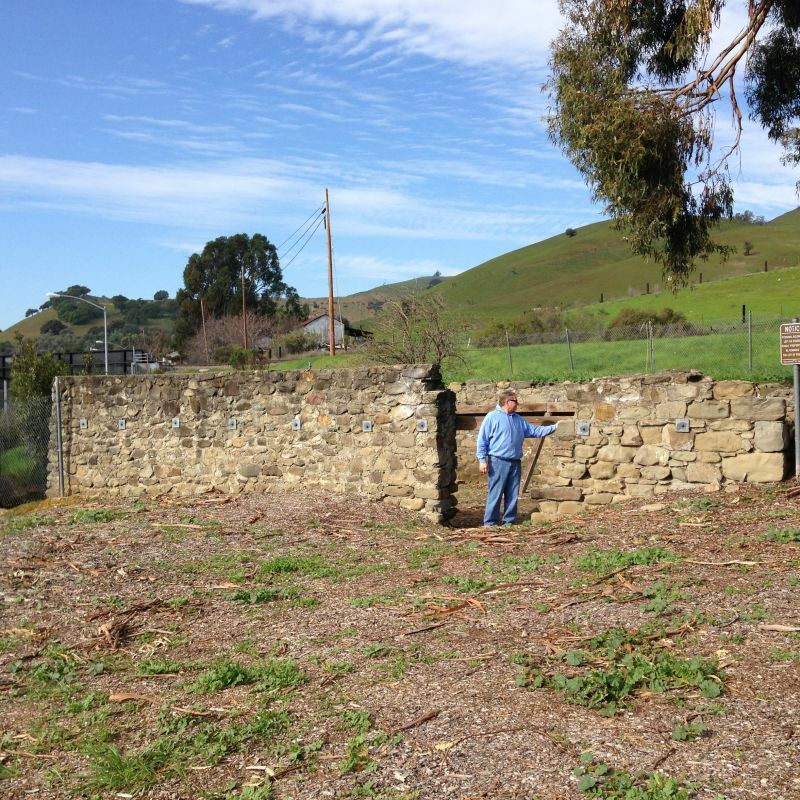 The stone aqueduct built to carry water for the mill parallels Niles Canyon Road. 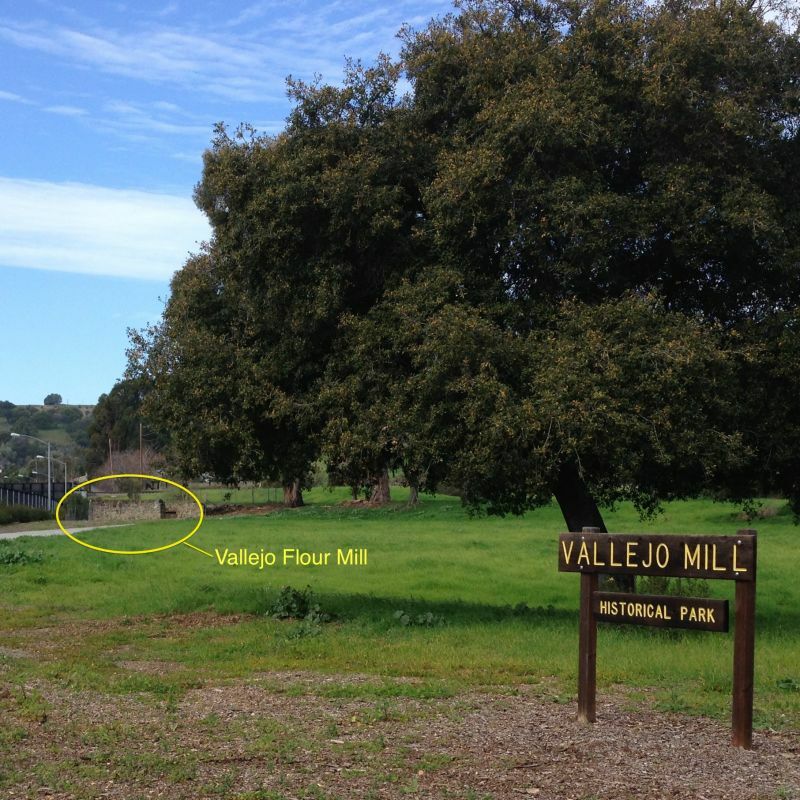 The remnants of the flour mill stand in Vallejo Mill Park. 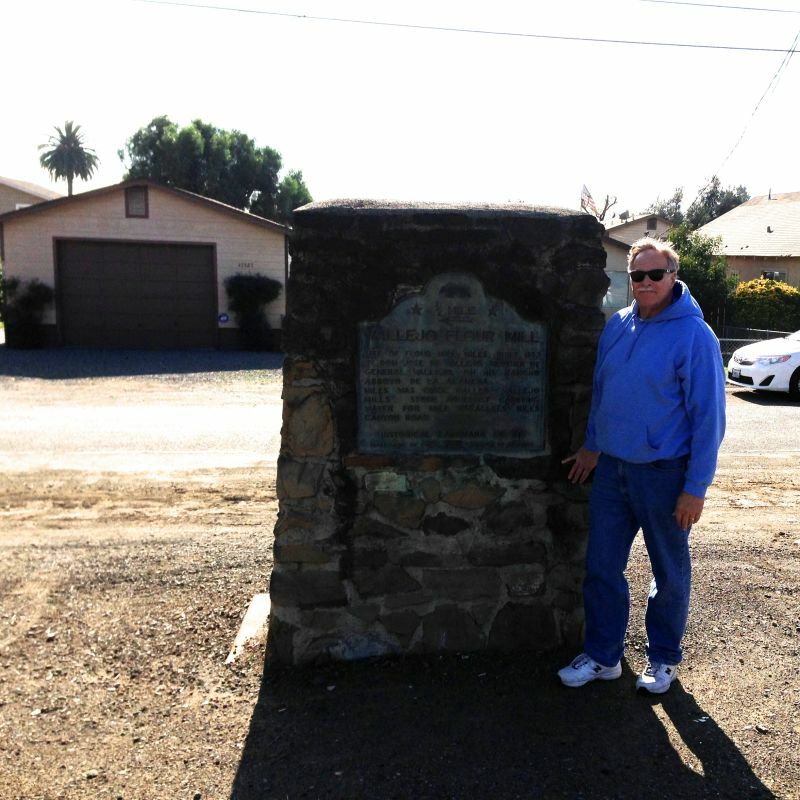 The state plaque is on the West side of Mission Blvd. 1/2 mile north of Niles Canyon Road. State Plaque is on Mission Blvd. 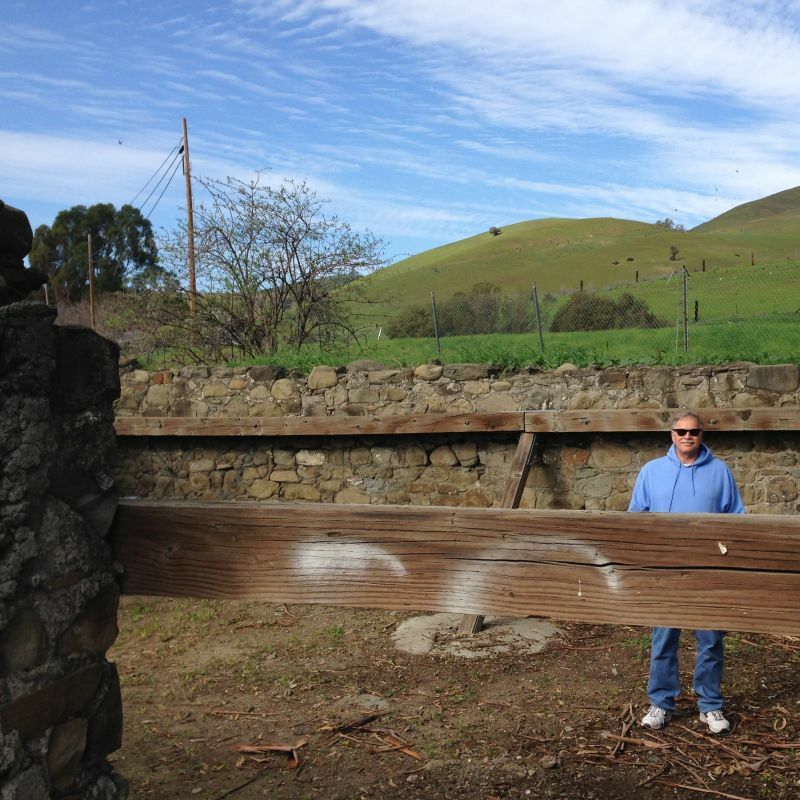 1/2 mile north of Niles Canyon Road.